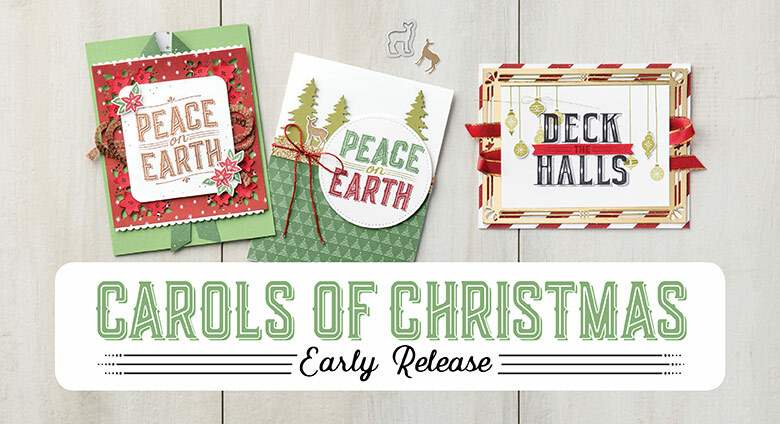 Get started early on your Christmas Cards with this gorgeous new stamp set and dies–Carols of Christmas. 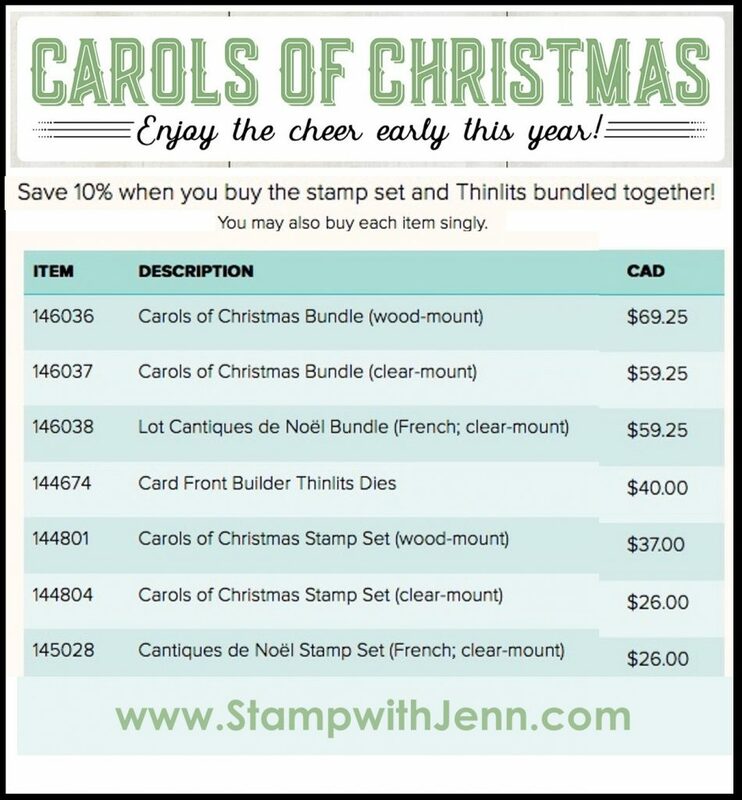 These items will be available in the Stampin’ Up! Holiday Catalogue starting in September 2017 but you have a chance to get them early this month. 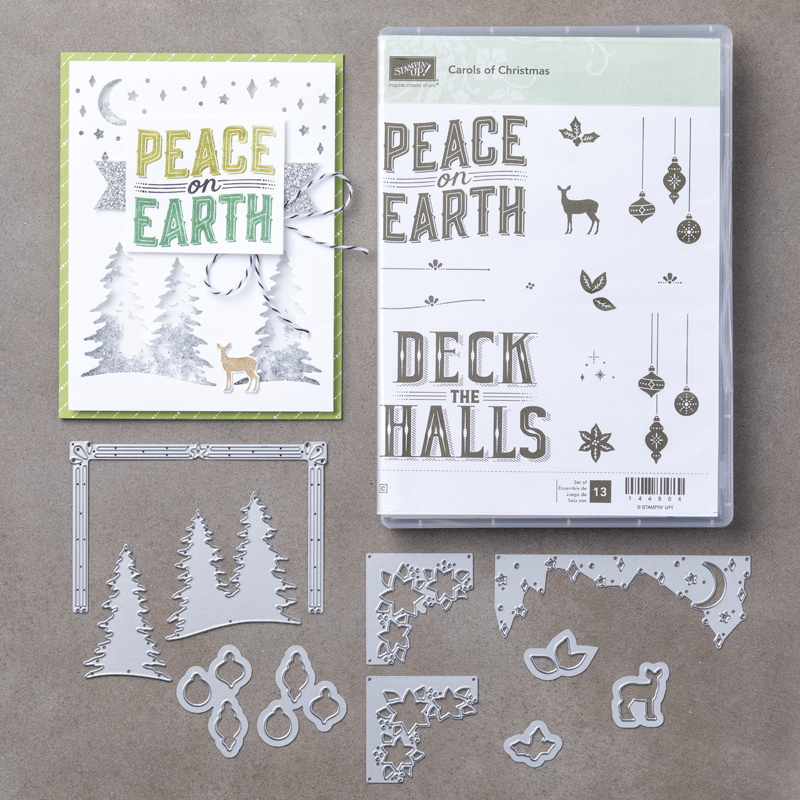 There is a stamp set and matching dies that you can get as a bundle or individually. See all the options below.And check out the video below. Shop in on my Online Store here.